Scientists have traditionally believed that combining more than two drugs to fight harmful bacteria would yield diminishing returns. The prevailing theory is that that the incremental benefits of combining three or more drugs would be too small to matter, or that the interactions among the drugs would cause their benefits to cancel one another out. Now, a team of UCLA biologists has discovered thousands of four- and five-drug combinations of antibiotics that are more effective at killing harmful bacteria than the prevailing views suggested. Their findings, reported today in the journal npj Systems Biology and Applications, could be a major step toward protecting public health at a time when pathogens and common infections are increasingly becoming resistant to antibiotics. "There is a tradition of using just one drug, maybe two," said Pamela Yeh, one of the study's senior authors and a UCLA assistant professor of ecology and evolutionary biology. "We're offering an alternative that looks very promising. We shouldn't limit ourselves to just single drugs or two-drug combinations in our medical toolbox. We expect several of these combinations, or more, will work much better than existing antibiotics." Working with eight antibiotics, the researchers analyzed how every possible four- and five-drug combination, including many with varying dosages — a total of 18,278 combinations in all — worked against E. coli. They expected that some of the combinations would be very effective at killing the bacteria, but they were startled by how many potent combinations they discovered. For every combination they tested, the researchers first predicted how effective they thought it would be in stopping the growth of E. coli. Among the four-drug combinations, there were 1,676 groupings that performed better than they expected. Among the five-drug combinations, 6,443 groupings were more effective than expected. "I was blown away by how many effective combinations there are as we increased the number of drugs," said Van Savage, the study's other senior author and a UCLA professor of ecology and evolutionary biology and of biomathematics. "People may think they know how drug combinations will interact, but they really don't." On the other hand, 2,331 four-drug combinations and 5,199 five-drug combinations were less effective than the researchers expected they would be, said Elif Tekin, the study's lead author, who was a UCLA postdoctoral scholar during the research. Some of the four- and five-drug combinations were effective at least partly because individual medications have different mechanisms for targeting E. coli. The eight tested by the UCLA researchers work in six unique ways. "Some drugs attack the cell walls, others attack the DNA inside," Savage said. "It's like attacking a castle or fortress. Combining different methods of attacking may be more effective than just a single approach." Yeh added that although the results are very promising, the drug combinations have been tested in only a laboratory setting and likely are at least years away from being evaluated as possible treatments for people. "With the specter of antibiotic resistance threatening to turn back health care to the pre-antibiotic era, the ability to more judiciously use combinations of existing antibiotics that singly are losing potency is welcome," said Michael Kurilla, director of the Division of Clinical Innovation at the National Institutes of Health/National Center for Advancing Translational Science. "This work will accelerate the testing in humans of promising antibiotic combinations for bacterial infections that we are ill-equipped to deal with today." The researchers are creating open-access software based on their work that they plan to make available to other scientists next year. The software will enable other researchers to analyze the different combinations of antibiotics studied by the UCLA biologists, and to input data from their own tests of drug combinations. 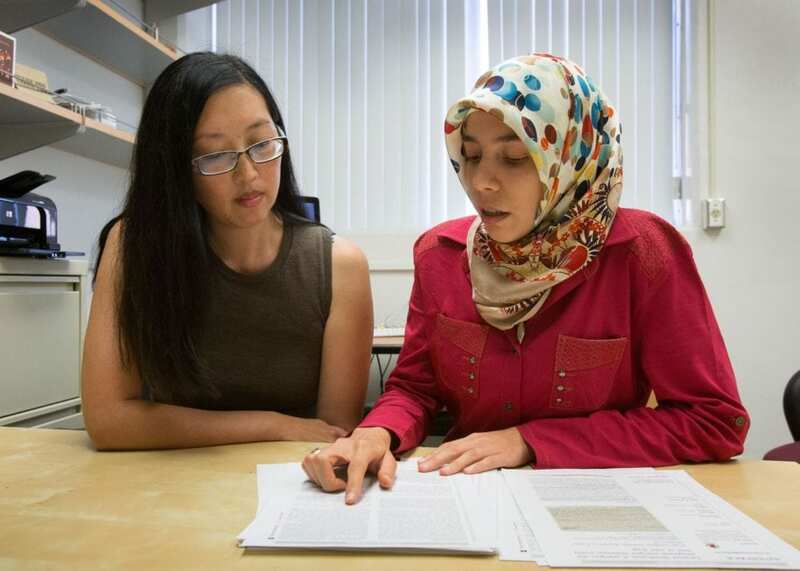 One component of the software is a mathematical formula for analyzing how multiple factors interact, which the UCLA scientists developed as part of their research. They call the framework "mathematical analysis for general interactions of components," or MAGIC. "We think MAGIC is a generalizable tool that can be applied to other diseases — including cancers — and in many other areas with three or more interacting components, to better understand how a complex system works," Tekin said. Savage said he plans to use concepts from that framework in his ongoing research on how temperature, rain, light and other factors affect the Amazon rainforests. He, Yeh and Mirta Galesic, a professor of human social dynamics at the Santa Fe Institute, also are using MAGIC in a study of how people's formation of ideas is influenced by their parents, friends, schools, media and other institutions — and how those factors interact. "It fits in perfectly with our interest in interacting components," Yeh said. Other co-authors of the new study are Cynthia White, a UCLA graduate who was a research technician while working on the project; Tina Kang, a UCLA doctoral student; Nina Singh, a student at the University of Southern California; Mauricio Cruz-Loya, a UCLA doctoral student; and Robert Damoiseaux, professor of molecular and medical pharmacology, and director of UCLA's Molecular Screening Shared Resource, a facility with advanced robotics technology where Tekin, White, and Kang conducted much of the research. The research team reported in 2016 that combinations of three antibiotics can often overcome bacteria's resistance to antibiotics, even when none of the three antibiotics on its own — or even two of the three together — is effective. The biologists reported in 2017 two combinations of drugs that are unexpectedly successful in reducing the growth of E. coli bacteria. The research was funded by a James S. McDonnell Foundation Complex Systems Scholar Award, the National Science Foundation, the Hellman Foundation, the National Institutes of Health/National Center for Advancing Translational Science and a UCLA Faculty Career Development Award. Age, race or need for instant gratification -- which best predicts how much you will earn?